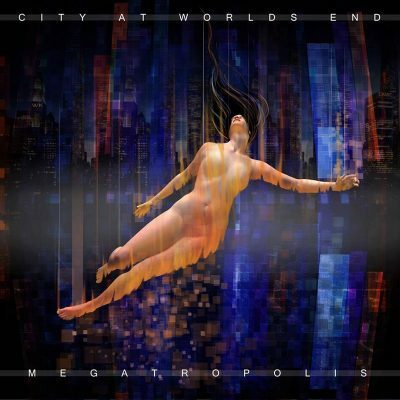 City at World’s End describes its music as a “single man sci-fi melodic techstep project made from the fractured dreams of androids, cyber-city frequencies, and pure cyberian dreamscapes.” Cyberian isn’t a word, and if the rest of those words mean nothing to you and you’re busy deciphering it, go ahead and stop. Megatropolis cures any headache you’ll create for yourself by immersing you in the throes of high-strung nightlife. Bear with me for this touchpoint: The best reference I have for Megatropolis is exactly half the soundtrack to the 2012 masterpiece FTL: Faster Than Light, which was composed by Ben Prunty. I say half because FTL dynamically ratchets up the tension through its music whenever you engage in its space battles, and Metropolis is occupied by this abstract sense of conflict. Half the time in FTL you fly through space against low-tension, relaxing space synths, and then, whenever a hostile ship approaches, new instruments emerge and existing ones gain intensity. It’s an effective way to exacerbate tension. Megatropolis isn’t built for the exact same effect, but like Prunty’s work, it chooses when to foreground restrained tonal shifts. A high-BPM track like “fiberline traveller” can feel overbearing one moment and restrained the next. “magnetro sky” reins in its underlying beats for moments of brief respite. “hoverboarding tripmines” is a synth minefield of moment-to-moment shifts in instrumentation, a kind of whiplash. It’s like taking a night drive in a city you’ve never been to.